A review of documents relevant to this issue has been completed. These include guidance published by the EPA and research undertaken by Trinity College in relation to the assessment of domestic wastewater as well as other relevant studies and regulations. Mr Bernard Greene, Head of Planning, Leitrim County Council, has helped in the supply of pertinent documents. 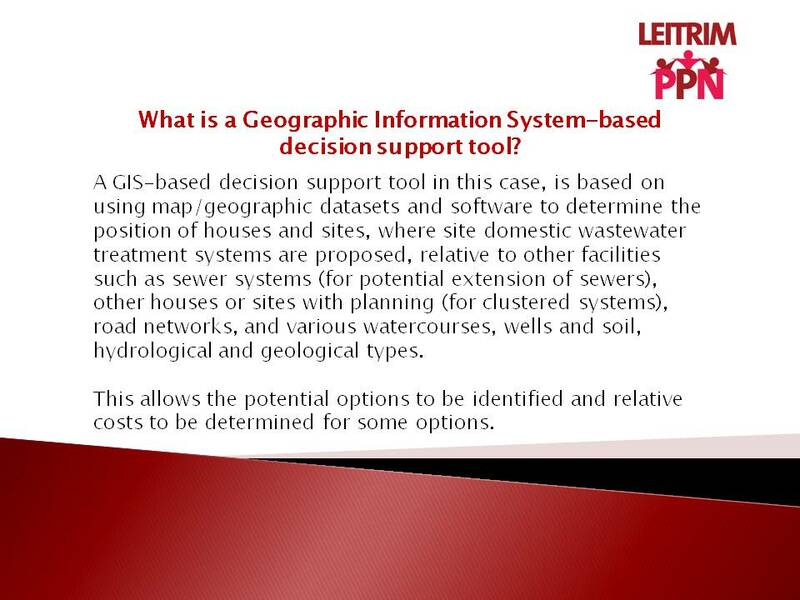 An understanding of Geographic Information Systems(GIS)-based decision support tools forms the basis of key methodology for this study. It allows for individual sites to be assessed based on geographic, site and soil parameters to determine the range of options appropriate, including the options for clustering of existing sites and extensions of sewer systems. An interim report should be available in February 2019 by which time case studies will have been identified and assessments under way.